For a week now Chris hasn’t been able to stop talking about this coconut ice cream that he had on the street, how great it is, and how I need to try it. On the streets I walk on to go to the park I have never seen an ice cream stand but yesterday after lunch we found a Thai restaurant that had a big sign advertising coconut ice cream! We order the ice cream and an order of mango sticky rice. 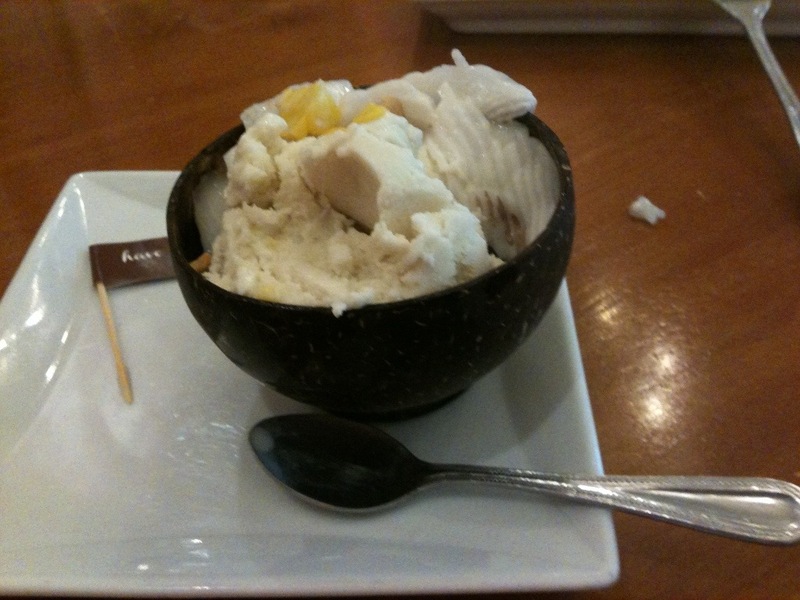 The coconut ice cream was great. It was more icy than creamy and not very sweet but just sweet enough. It came topped in nuts, wet and slimy coconut strips, and corn. The toppings were strange but Killian and I enjoyed the ice cream. The mango sticky rice was different but delicious. 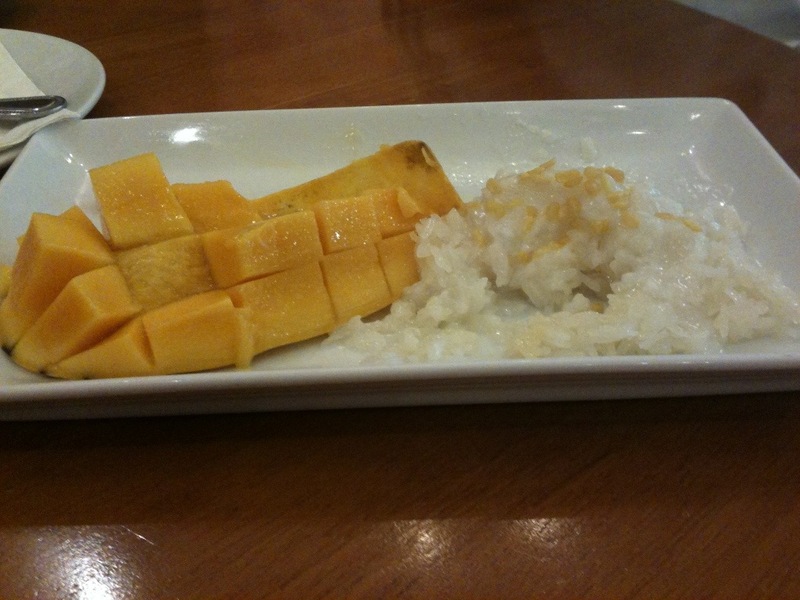 The mango isn’t very sweet but the hot, steaming sticky rice is because it is made with coconut milk. The desserts are very different than home but still pretty good. I’m not going to lie I would rather have some cake than sticky rice but it will do. 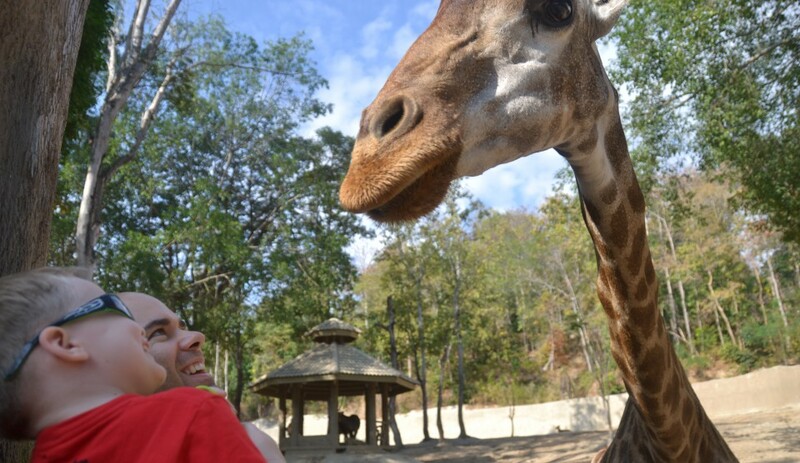 This entry was posted in Life In Bangkok and tagged Bangkok, Expat, Thai food, Thailand. Bookmark the permalink.